There are very few vehicles that embody the feeling of harmony as well as the Honda HR-V is able to do. This small SUV is 100% practicality, without any fanfare. The 1.8 liter engine coupled with a CVT transmission feels adequate for a SUV of this characteristics with 141 hp and All Wheel Drive available if needed. The design is one of the HR-V’s strong points, this might be the perfect city car, if has all the practicality needed for today’s busy life with an elegant subdued style we love ❤️. Thankfully, inside we found one of the best cabins around, we have to praise Honda for not following the “tablet style” trend, by tastefully integrating the screen in the dashboard. One of the great hidden features of the HR-V are the back seats, they fold backwards making plenty of room for large items like bicycles or camping gear. The 7 inch infotainment system is very functional, not the fanciest flowing graphics found in luxury cars, but sharp and useful with Apple Car Play and Android Auto. 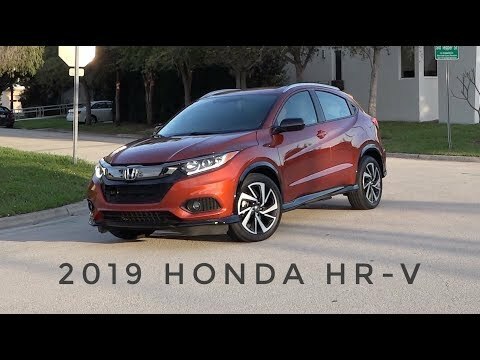 There is a lot of competition for this compact SUV, almost every brand have one, but Honda doest it the way they know best, with quality, tasteful design and honesty .